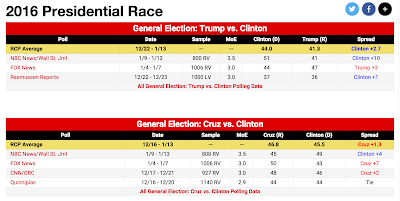 Two Presidential Candidates: Consistent Treatment? Is he a “natural born citizen”? 100s of articles in newspapers, law journals, and blogs. #1. If after some or all state Democratic party primaries are held, candidate Hillary Clinton is prosecuted or convicted for violating 28 U.S.C. Section 2071, can delegates already pledged to her (especially those elected prior to the start of the prosecution or prior to the conviction) vote for some other candidate on the first ballot at the Democratic National Convention? #2. If candidate Clinton is chosen by the Democratic National Convention, and if prior to the general popular election she is prosecuted or convicted, can the Democratic National Committee overturn the Convention’s choice and replace candidate Clinton with another presidential candidate for the Democratic Party? As a practical matter, how does the answer to this question depend (if at all) on each state’s election and ballot law? #5. If candidate Clinton is elected in the general popular election, and subsequently prosecuted or convicted before the electors formally meet and vote, are her electors bound to vote for her as pledged? How does the answer to this question depend (if at all) on each state’s election law? #6. If candidate Clinton is elected and takes office, could she (or her subordinates) control any extant and still ongoing investigation, prosecution, or appeal? #7. If candidate Clinton is elected and takes office, can she pardon herself in regard to any former or ongoing prosecution, conviction, or appeal? You will find some academic commentary (and even some judicial guidance) in regard to some of these issues, particularly numbers 3, 4, 5, 6, and 7. (See below my signature line for examples.) But there is little or no recent public discussion in our newspapers and law journals of these issues with specific application to the concrete factual allegations against candidate Hillary Clinton. See [Allegations]. There isn’t even much discussion on blogs! Why the silence—from the left and the right—from people who are happy enough to explore legal issues involving Ted Cruz’s candidacy? Liberal bias might play a part, but it cannot explain the whole of it. Right-of-center media, legal, and cultural institutions exist; they could take up some of the slack here. But will they? Will you? Liberal bias is an excuse for doing nothing; it allows far too many people and far too many institutions off the hook, thereby squandering time and opportunity. There are many fora (including several widely read individual, group, and journal-run blogs) whose mission, if not primary mission, includes discussion of time-sensitive legal issues of public interest. Should not the public be informed about these Clinton-related possibilities and risks well before votes are cast? Why the silence among journalists, academic commentators (with expertise in election law, constitutional law, and statutory interpretation), and bloggers who usually very much like to write on issues of public moment? Would not this make a suitable—if not outstanding—journal symposium issue: “The Hillary Clinton Candidacy: The Legal Issues”? Any takers? Given the silence, you would almost think “natural born citizen” were the only legal issue out there. Odd isn’t it? PS: If you, your organization, or your journal decides to set up the suggested law-of-the-Clinton-candidacy symposium, please send me notice of the event (or an invitation to participate!). I am happy to suggest other participants. Such a symposium need not be conducted in person. It could be conducted on short notice on Skype and posted on Youtube, or it could be merely a collection of papers preliminarily posted on SSRN, and subsequently published in a traditional print journal (or in an on-line supplement). But act soon: the election season is now upon us all. PPS: In regard to issue #3, some very fine and wide-ranging discussion can be found in: Josh Chafetz, Democracy’s Privileged Few: Legislative Privilege and Democratic Norms in the British and American Constitutions (2007). In regard to issue #4, other informative discussion can be found in Quinnipiac Law Review: see [Cassady]; [Stern]; [Hoffer]; [Kalt]; [Melton]; and [Tillman]. My contribution to this collection of papers on the Disqualification Clause opposes the position put forward by Cassady and others. Melton argues that the clause applies to all elected federal positions: President, Vice President, Senators, and Representatives. I argue that the clause applies only to appointed federal positions, but not to any elected federal positions. By contrast, Cassady takes an intermediate approach. Cassady’s position—that the Disqualification Clause’s office ... under the United States language—reaches the presidency and vice presidency, but not Senate seats and House seats—flows seamlessly from the position of Professor Akhil Amar, who advised Cassady on this paper. See Cassady, n.* (“Professor Amar supervised this Article when it was only a class project. He spent countless office hours discussing and editing [!] the paper . . . .”). “Countless hours”: how very admirable. An example to us all. Cf. Akhil Reed Amar, The Law of the Land: A Grand Tour of our Constitutional Republic 332 n.8 (2015) (that “[t]he presidency is an ‘office under the United States.’”). In regard to issue #5, academic discussion is endless. My favorite is: Robert W. Bennett, Taming the Electoral College (2006). In regard to issue #6, see, e.g., Michael Stokes Paulsen, Nixon Now: The Courts and the Presidency After Twenty-five Years, 83 Minnesota Law Review 1337 (1999). I cite Professor Paulsen frequently in my publications, including his new book: Michael Stokes Paulsen & Luke Paulsen, The Constitution: An Introduction (2015). In regard to issue #7, I recommend: [Kalt]; and Brian C. Kalt, Constitutional Cliffhangers: A Legal Guide for Presidents and Their Enemies (Yale University Press 2012). Another brilliant book. This book sets the standard for jargon-free informative legal writing accessible to the educated public. Here is a subsequent post expanding on the same topic: Seth Barrett Tillman, Litigating (former) Senator Hillary Clinton’s Legal Woes: A Response to Professor Rick Hasen (Election Law Blog) and Michael Stern (Point of Order blog), The New Reform Club(Feb. 2, 2016, 9:01 AM). 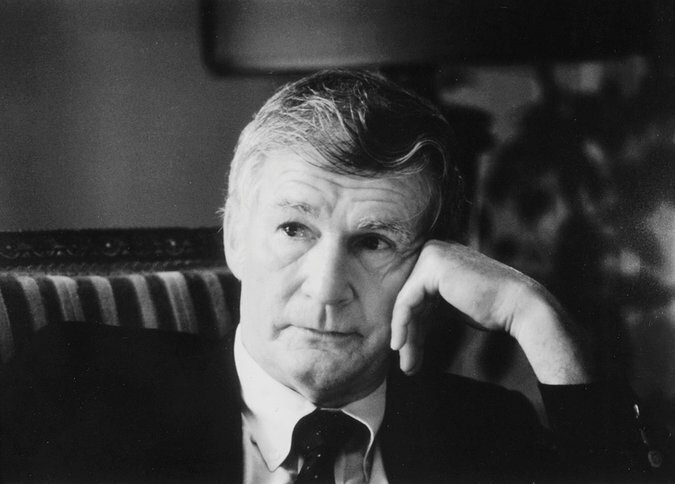 Here is my prior post: Seth Barrett Tillman, Professor Forrest McDonald (1927–2016): Scholar, Patriot, and Friend, The New Reform Club (Jan. 22, 2016, 5:03 AM). Welcome Balkinization, Instapundit, Chicago Boyz, and Milwaukee Federalists readers. Please wander about New Reform Club, where a lot is being written all the time. Why does Big Media pump Trump and abuse Cruz? 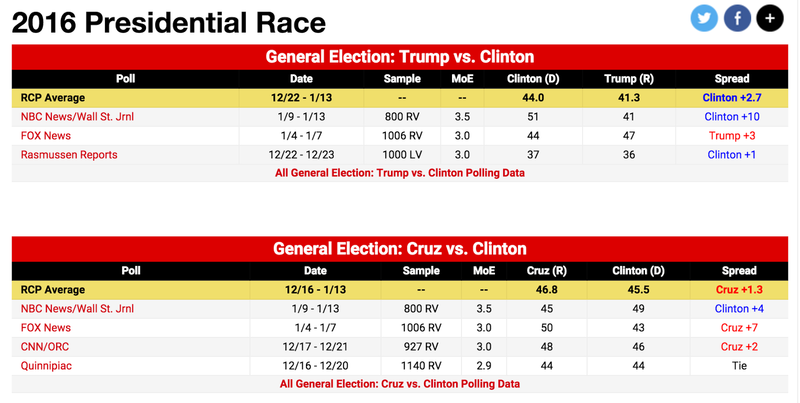 Because Cruz beats Hillary and Trump does not? In 2013 I bust up with National Review, for various reasons, some of which I'm not at liberty to disclose but all of which fall broadly under the banner of free speech. I'm very big on that. It's my core issue. So in the dispute between National Review and me I'm cheering for me. Go, Steyn! On the other hand, fraudulent climate mullah Michael E Mann is suing National Review for defamation. 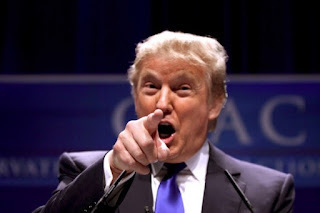 So in Mann vs National Review I'm cheering for National Review. . . .
National Review has been opposed to Donald Trump since he entered the Republican race. I wasn't, because aside from jollying things up tremendously I think Trump performed a very useful service in utterly destroying then frontrunner Jeb Bush's presumed nomination. I regard the attempt by a third Bush in a quarter-century to occupy the White House as obnoxiously un-republican, with a small "r". So in Trump vs Bush, I 'm cheering for Trump. Which means that in National Review vs Trump, I'm cheering for Trump. I thought their anti-Trump issue was a strategic disaster that did more damage to them than to its intended target . . . . But Trump didn't like National Review coming at him. So over the weekend he Tweeted an approving link to a two-year-old column arguing that National Review is doomed. Unfortunately for me, its thesis is that National Review is doomed because of the Michael E Mann lawsuit. So, when it comes to global-warming fanatics vs free speech, Trump is apparently cheering for the global-warming fanatics. . . . . National Review would survive losing the Mann suit. But I wouldn't. I'd be over, in every sense. Yet, in Mann vs Steyn, Trump is apparently cheering for Mann. I'm not a particular fan of National Review-conservatism's unofficial catchphrase about standing athwart yelling stop. There's no formal objection: conserving certain things is synonymous with stopping other things. But after a half-century of failing to stop most everything it tries, conservatism literally isn't conservative anymore, lest you mean to stick up for the new status quo in bloated federal bureaucracy and a college professoriat who sees no daylight between Jon Chait and Donald Trump, P.C. apostates both. And whether that means conservatism means being more activist, more positive, more subversive, is anyone's guess, but surely it means publishing entire magazines standing athwart yelling "against" is not likely to improve the success rate. Steyn's advice is better: if you don't like Trump, steal his issue. Still and all, it ought to be awful hard for even Steyn not to sympathize with Trump's critics: that even if you like all the tough talk about a U.S. border fence hecho en Mexico, even if you think Republicans need to rise above principle, for Trump nothing rises above the man himself. And if we elect pure id, it will prove too much for us. The anecdotal proof is Steyn himself, whose biting and incisive pieces over the past months have done as much as anyone to explain the salient dissatisfaction with modern conservatism, and hence Trump's appeal and his long-awaited subversion of the media and our banal politics. And yet, still, and although, Steyn finds himself crosswise with Trump. The frog and the scorpion come to life. Thus was achieved another, and still more glorious triumph in the cause of national liberty, than even that, which separated us from the mother country. By it we fondly trust, that our republican institutions will grow up, and be nurtured into more mature strength and vigour; our independence be secured against foreign usurpation and aggression; our domestic blessings be widely diffused, and generally felt; and our union, as a people, be perpetuated, as our own truest glory and support, and as a proud example of a wise and beneficent government, entitled to the respect, if not to the admiration of mankind. -- Joseph Story, Commentaries on the Constitution of the United States, book III, chapter 1 (1833). --Russell Kirk, Ten Conservative Principles (1993). 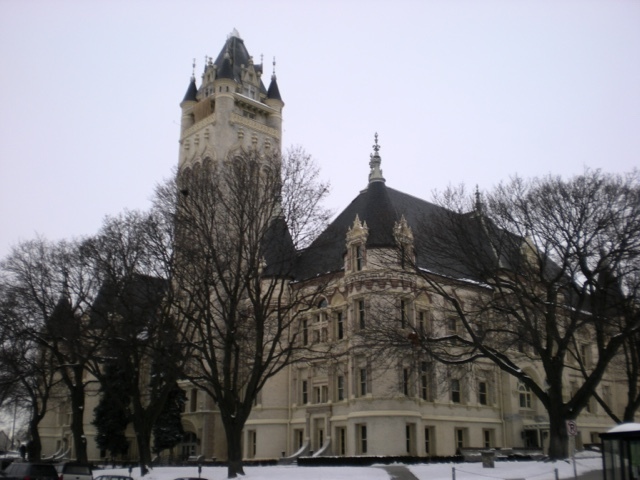 One of the more stately public buildings in the Lilac City, the Spokane County Courthouse is the hub for the administration of justice in our fair city, the second largest in Washington State and the heart of the Inland Northwest. Oftentimes influential books are relatively short. Thomas Paine's Common Sense, for example, was originally published as a pamphlet. The Communist Manifesto, one of the most perniciously influential books of the last 200 years, is short as well. So, when it comes to influence, the massive treatise isn't always the one that people turn to. In an academic culture that often values heft over insight, one book that demonstrates that less can be more is the late Douglass Adair's 185 page landmark study, The Roots of Jeffersonian Democracy. Written in 1943, the work was Adair's doctoral dissertation at Yale. It is now back in print, republished in 2000 by Lexington Books. As the introduction to the Lexington Books edition puts it, the checkout list for Adair's dissertation reads like "a who's who of early American history." The number of scholars across ideological and methodological camps who have been influenced by Adair is astounding. And there is good reason that Adair's dissertation is so influential: it is that rarity among books that start as dissertations -- a clear, concisely worded, focused study of its topic. And Adair's topic is ambitious, no less than understanding the roots of the political theories of the formative period of the American Republic. While the title of Adair's dissertation centers on Jeffersonianism, most of the study is devoted not to Jefferson but to those around him. Madison figures prominently, but so does Hamilton. Adair's presentation of Hamilton is generous, and Adair goes out of his way to discuss Hamilton's contributions to the emerging constitutionalism of the early American nation. And not just Hamilton's influence on the constitutional convention and the ratifying debates afterward, but Hamilton's deeper political convictions regarding the need for a "balanced government," one that was limited not only in scope but also in its ability to concentrate power in the hands of any one group, interest or person. Part of this idea of balance included the notion of an aristocracy of ability and position that would be able to temper the passions of the mass of the people. It was this emphasis on balanced government that, in Adair's view, motivated the Federalist Party, and bound together such different personalities as Hamilton and John Adams in common political endeavor. Adair's study also details the powerful influence that classical Greco-Roman political theory had on the discussions regarding American government during the founding period. Aristotle and his disciples as well as Plato's student Xenophon figured prominently not only in Federalist political theory, but in the rising political ideology of the Jeffersonian Republicans. Adair notes that Hamilton's concerns for balanced government were bolstered by appeals to classical theorists. In Adair's telling, Hamiliton was widely although not deeply read in the classics, and he was so enamored of classical political theory that he "could not turn his reading of ancient history at all toward the clarification and ordering of the American world in which he lived." Indeed, Adair's study of this component of Hamilton's intellectual formation serves as a cautionary tale about the risks of imbibing too much of the classics at the expense of understanding one's present surroundings. As Adair puts it, "his [Hamilton's] classical learning operated to distort and becloud so many political phenomena lying under his very eyes that he could never deal with them realistically, except in minor matters of technique." 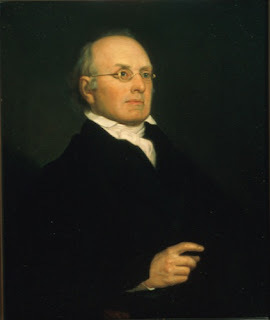 The real star of Adair's book is James Madison, the one-time disciple of Washington and ally of Hamilton who eventually became the scholar- and politician-apprentice to Thomas Jefferson. Madison, in Adair's view, had a far more nuanced and realistic understanding of both of classical patrimony and the political reality of the early American Republic. Madison's understanding of the necessary constitutional order included limitations on both federal and state power, a recognition of the rights of the majority along with a commitment to the protection of the rights of the minority. According to Adair, Madison's defense of the Virginia Plan in the constitutional convention flowed out of these concerns, and reflected a prudential approach to ensuring both minority rights and majority governance. In line with Republican political ideas, Madison did not see history, as Adair puts it, "just the struggle of the rich and the poor trying to devour each other. The problem of faction did not pivot entirely upon the conflict of haves and have-nots." With this insight, Madison escaped the trap of classical political theory, eluding the chains of the Greek and Roman philosophers who saw such struggle at the heart of every system of government. And for this escape Madison was indebted in no small part to writers of the Scottish Enlightenment, notably David Hume, as Adair details. This isn't to say that Madison and the Jeffersonian Republicans were able to maintain a completely clear-headed view of early American politics. If Hamilton and the Federalists got lost in classical political theory, Madison and the other Jeffersonians fell into the myth of the "virtuous farmer." The "ideal commonwealth," as Adair summarizes Madison's views, "would operate among a nation of husbandmen[.]" And it is in this regard that Adair's study loses much of its energy. 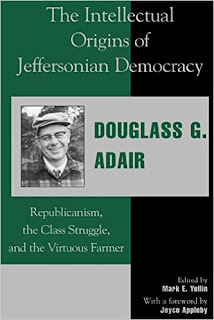 Adair fails to see that just as the Federalists were too committed to classical political theory, the Jeffersonians were too committed to an agrarian polity that was rapidly losing ground to the rising industrial economy of the West. Adair didn't see that it was precisely in this way that the Jeffersonians made a critical misstep, completely overlooking the economic trends that were then a-building. One of the things that is so fascinating about early American Republic is that both the Federalists and the Republicans had such critical and (in hindsight) obvious conceptual errors. If the Federalists were lost in Greek philosophy, they were at least clear-headed when it came to understanding the way the winds were blowing when it came to economics. If the Jeffersonian Republicans were able to see their immediate political world with clear vision, their agrarian dogmatism left them vulnerable to being blindsided by the emerging world of banks, trade and industrial production. This weakness on the part of the Jeffersonians explains, at least in part, the inability of the Jeffersonian Republicans to dismantle much of the Federalist architecture of government and the economy after the revolutionary election of 1800. Adair did not address this aspect of the respective weaknesses and strengths of the Federalists and Jeffersonians, nor did Adair extend his study to deal with Jefferson's tenure as president. No study, of course, is perfect, but the lack of such discussion is a noted lack in a book that otherwise excels in a deep reading of the intellectual trends of the early republic. Such a discussion would have provided a better glimpse at something that Adair did note well, namely the pessimism that Jefferson and Madison had at the prospects for the American nation. Indeed, the Jeffersonian inability to understand the new economic realities that were then on the rise led both Madison and Jefferson to hold a pronouncedly negative view of the long-term viability of the new republic. Eventually they thought, as Adair points out, that the republic would become too crowded and too corrupt for constitutional government to remain; "commerce and manufactures" would eventually overwhelm the nation. The best that Madison hoped for was "at least a generation" of constitutional government among the American people. Its flaws aside, though, it is difficult to heap too much praise on this book. Adair's study is a insightful look into what he describes as "the alien intellectual territory" of Jefferson and Madison. It is notable for its depth, for its insight, and for its examination of the sources for much of the political thought of the early republic. It is a book well worth reading. What kind of classical liberalism does the New Reform Club seek to conserve? 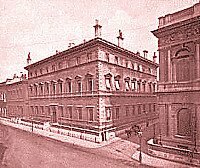 A recent reader sent along that inquiry after finding his way to the New Reform Club thanks to one of the recent Instalanches now regularly triggered by the excellent work done by our co-blogger, Seth Barrett Tillman. While I am sure that my colleagues here at the New Reform Club can each come up with their own take on how our work her ties back to the classical liberal tradition, I thought I would share my own answer to that question. In short, this blog exists to further the classical liberal tradition's orientation to politics and culture: an openness to argument & dialogue, grounded in a normative understanding of human nature, expressed through the language of natural law & natural rights, giving rise to a commitment to government limited in scope but vigorous in its legitimate functions, supported by a society that embraces innovation & individual initiative, mediating institutions and the vitality of traditional bonds of social order found in family, faith & friendship. Okay. That was a long sentence. Let's take a breath. Okay, now back to it. This approach to political and cultural engagement is most often associated with the political right today, but it not exclusively the preserve of the right. Left-conservatives like Christopher Lasch and Bill Kaufmann have embraced much of its wisdom, as have paleo-conservatives like Russell Kirk and M.E. Bradford. Distributionists like Belloc and Chesterton also fit comfortably within this definition. 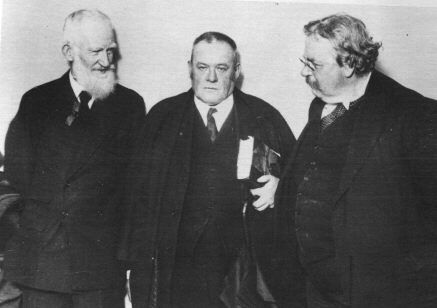 Belloc perhaps most of all due to his career as a member of Parliament, elected as part of the original Liberal Party in Great Britain, the successor party to the Whigs of blessed memory, which in turn had been the political home of the English statesman and grandfather of modern conservatism Edmund Burke. As Russell Kirk once commented of Burke, "he was a conservative because he was a liberal." It is in that sense that this blog embodies the grand tradition of classical liberalism. It avoids the ideological fervor of both modern left-liberalism and both left- and right-libertarianism. It seeks to cultivate the garden of discourse with strong opinions and strong convictions, preferring disagreement to superficial conformity. Embracing the wisdom of the liberal approach to politics that developed in the West in the aftermath of Reformation and Enlightenment, it seeks to conserve those Permanent Things that exist both above and beyond the control of the State, while recognizing the positive role that government plays when active within the proper sphere of its authority. This commitment to the liberal approach to politics is grounded not in relativism or in a sense of the futility of politics to discern moral order, but rather in the understanding that there exists a moral order discernible to human reason through observation of and reflection upon natural law. Objectively speaking, natural law, as a term of politics and jurisprudence, may be defined as a loosely knit body of rules of action prescribed by an authority superior to the state. These rules variously (according to the several differing schools of natural-law and natural rights speculation) are derived from divine commandment; from the nature of humankind; from abstract Reason; or from long experience of mankind in community. But natural law does not appertain to states and courts merely. For primarily it is a body of ethical perceptions or rules governing the life of the individual person, quite aside from politics and jurisprudence. [...] The natural law should not be taken for graven Tables of Governance, to be followed to jot and tittle; appealed to in varying circumstances, the law of nature must be applied with high prudence. As Alessandro d'Entreves writes, "The lesson of natural law is in fact nothing but an assertion that law is a part of ethics." And, he concludes "The lesson of natural law [is] simply to remind the jurist of his own limitations.... This point where values and norms coincide, which is the ultimate origin of law and at the same time the beginning of moral life proper, is, I believe, what men for over two thousand years have indicated by the name of natural law." On the one hand, natural law must be distinguished from positive or statutory law, decreed by the state; on the other, from the "laws of nature" in a scientific sense -- that is, from propositions expressing the regular order of certain natural phenomena. Also natural law sometimes is confounded with assertions of "natural rights," which may or may not be founded upon classical and medieval concepts of natural law. Acknowledgement of natural law, the avoidance of ideological dogmatism, the adherence to tradition, and an understanding that this side of heaven, change is inevitable and reform desirable mark this blog's approach to the issues of the day. At the same time, this blog recognizes that constructive reform preserves a continuity with the past that is integrated rather than fragmented. Beneficial reform does not embrace disruptive change for the sake of disruption. All of us stand or fall as part of a great chain of being that links our ancestry with future generations. To uphold these bonds, these mystic cords (to borrow a phrase from Lincoln), is the task of everyone who identifies as a classical liberal. It is also the task of the New Reform Club. Edmund Burke, that great conservative and great liberal, would expect no less. Circa 2003, I had an idea. It was an unusual idea. Actually, it was more than unusual—it was downright subversive (as many of the best ideas are). I argued that James Madison made a chronological error in regard to his entries for August 15 & 16, 1787 in his Records of the Federal Convention, and as a result, the standard narrative of the history and original public meaning of U.S. Constitution Article I, Section 7, Clause 3 has been and remains entirely wrong. I put forward an alternative meaning for that clause—one absent direct support in contemporaneous American materials from the ratification period, but generally supported by background English and colonial parliamentary practices and traditions. Presenting a theory that everyone (who has written on a subject) has been wrong, and wrong for 200-plus years poses challenges, particularly if you (the author) are a nobody, writing absent a large vitae establishing your personal credibility as a legal scholar, historian, or political theorist. At this time, I was a mere JD, a former legal practitioner of about three years, and a current federal law clerk in New Jersey. So what do you do when you believe you are in possession of the new truth? You try to get comments from academics in law, history, and political science and others with expertise. But that too is difficult. There are more than a handful of cranks who write on the Constitution and this period. For this reason, and other good reasons, many academics and other experts are wary to indulge strangers in conversation, much less to read their 100-page-plus manuscripts. They are busy people; they have their own research agendas, PhD students to supervise, classes, etc. Still, I tested the waters. I contacted by e-mail and snail-mail a good number of scholars. I am not sure I can remember why, but I did not write McDonald. Instead, I just called him at his home; he was listed in the telephone book. It was as simple as that. I have read your article on Art. I, s. 7, cl. 3 with care and interest. I find it historically absolutely convincing, and if you wish to quote me to that effect when you submit it to a traditional hard bound law review, you have my permission. I don’t think it likely to change the law on the subject, but it should certainly change historical scholarship. I note minor typos on pages 59 and 78, and fiercely object to the use of “she” when talking about the president—that is politically correct faddism, having no place in an article this serious—but I observed only two factual errors. . . .
My congratulations on a well-done bit of scholarship. (N/B: Subsequently, McDonald gave me permission to circulate this letter to third-parties.) Afterwards, I placed my article in Texas Law Review; McDonald’s letter may have influenced the journal’s editors. I do not know. Post-publication, my article’s reception has been uneven. It has been cited more than 50 times, but not always favorably. Professor Gary Lawson (a former Scalia clerk) said I was basically correct. Sopan Joshi (a current Scalia clerk) said I was basically wrong. I sent a copy to Justice Scalia, but I have yet to hear back. If subversive ideas interest you, here is an abstract, from where you can download a copy. Professor McDonald and I kept in touch from time-to-time over the next decade. He was a friend to me. He cultivated scholarship in others—something which few do. Too few. I try to emulate him in this regard. I will miss him. My prior post is [here]: Seth Barrett Tillman, Return of the Letter to a Young Social Justice Warrior, The New Reform Club (Jan. 20, 2016, 3:20 PM). I responded to Professor Gary Lawson [here]. Welcome Instapundit, Chicago Boyz, Legal History Blog, and American Creation readers. Please wander about New Reform Club, where a lot is being written all the time. That is not an anti-Southern slight. It is merely descriptive of the fact that during that time period and in that place (and elsewhere in much of the United States) pro-Madisonian forces occupied the commanding intellectual heights. Some might say that they still do. That is not a slight against federal law clerks, legal practitioners, or New Jersey, or all of the above. It is just a fact: none of these credentials individually or collectively make you the obvious candidate to establish the proposition that everyone between (and including) President J. Madison and Justice A. Scalia have been entirely wrong in regard to the original public meaning of a U.S. constitutional provision. No, I am not going to name names here, and no doubt, some few might assert that I too belong on any such list. Seth Barrett Tillman, Return of the Letter to a Young Social Justice Warrior—responding to Lamya H.’s: A personal history of Islamophobia in America, Vox (January 15, 2016), http://ssrn.com/abstract=2719141. Here is my first social justice warrior post: Seth Barrett Tillman, Letter to a Young Social Justice Warrior (July 23, 2015) (3 pages long). Again, here is my second social justice warrior post: Seth Barrett Tillman, Return of the Letter to a Young Social Justice Warrior—responding to Lamya H.’s: A personal history of Islamophobia in America. Here is my prior post: Seth Barrett Tillman, Tillman’s Recommended Irish, British, and other European Blogs, The New Reform Club (Jan. 20, 2016, 4:06 AM). Here, at New Reform Club, most of our readers are from the United States. We know. Here are the pageview statistics. I am not going to recommend American blogs to you. You can find them yourselves, and also choose for yourselves. (And please keep reading New Reform Club!) But I now live in Ireland, and so I may have a good deal more contact than you with good Irish, British, and other European blogs and related materials. Here I am going to recommend a few such blogs. But turning a statue of Cecil Rhodes into an invented psychological trauma, or demanding that it be removed as an act of ‘decolonization’, will change neither the way that people look upon the past, nor challenge the injustices of the present. The “final non-appealable authority ... on all disputed points of usage” (see http://ssrn.com/abstract=1029001) also has some favourites. One is www.timworstall.com. One Irish newspaper columnist is particularly good, which usually means that after a few years he will be picked up by a better paying British broadsheet. See Ian O’Doherty at The Irish Independent. The Indo (as it is called) is one of the two newspapers of record here; the other is The Irish Times. (See, e.g., http://ssrn.com/abstract=2129771; http://ssrn.com/abstract=2465554.) The former is read by independent businessmen; the latter is read by the (anything but) caring and professional classes. PS: Runners up: biasedbbc.org, and www.churchill-society-london.org.uk/StGeorge.html (April 23, 1961), which inspired a BBC racist political fantasy: National Crime Squad Manhunt: I am an Englishman. The youtube segment is only 7 minutes. PPS: I will come back with some continental recommendations on another occasion. Here is my prior post: Seth Barrett Tillman, Is Senator Ted Cruz a “Natural Born Citizen”? Yes, The New Reform Club (Jan. 18, 2016, 10:53 AM). Welcome Instapundit and Chicago Boyz readers. Please have a look around The New Reform Club.